Business Angels funding & Venture Capital Provider, Business Management Support & Consultancy UK. Established 1984 CMR is the leading venture capital, management support and business services provider for small to medium-sized businesses - linking excellent management skills with the substantial financial resources of a global bank of private investors. CMR has over 450 senior executives, operating in the UK, USA, Europe, Asia, Australasia and globally, providing both funding and specialist help for entrepreneurial businesses. CMR FundEX Business Exchange - gives all companies & entrepreneurs direct access to CMR's global investor base. CMR Catalyst Group Programme - transform profitability through merging. CMR Company Sales Division helps owners to exit at the best price. CMR Corporate Recovery Division - experts in rescue and turnaround. CMR Technology Licensing Division - commercialising innovation. CMR Executive Professionals - management support and consultancy. CMR Executives-on-Demand™ Fully experienced senior executives available quickly and cost effectively. We always welcome contact with new business clients- please get in touch - we will do our best to match your needs and exceed your expectations. We always appreciate new members- you are welcome to join as an investor or as a CMR Executive. CMR's strength is in the skills and experience of our executive members - all senior, director level people with years of successfully running and managing companies. Because the demand for CMR's support and services is ever-increasing, especially as we enter recessionary times, we have a growing need for more high calibre executives to join us from every industry and discipline. You will be using your considerable experience to help smaller businesses and entrepreneurs to grow profitably. We offer full training and mentoring support to help maximise potential. We are always keen to find more high calibre senior executives in all areas- skills and location. Make contact with us today and maximise your opportunities. CMR is a worldwide network of senior executives. Join us to expand your career and business horizons. CMR has a complete range of resources & services provided by experts to help all businesses to grow and prosper. CMR has a continuous stream of business and funding propositions, which are matched to investor preferences. Join us - it's FREE! FundEX is CMR's worldwide stock market for small to medium sized companies and entrepreneurs to raise new capital. Many of CMR's executives can be recruited on an interim, permanent or NED basis. One benefit of hindsight is that it imparts a cheap superiority over the past blunders of others.� We certainly make more mistakes than we�d care to admit.� Why not look down our nose and acquire some lessons learned from the mistakes of others? A simple record of the collective delusions from the past can be quickly garnered from a price chart over time.� Market peaks appear so obvious, after the fact.� Perhaps with a little examination we can prevent some of our hard earned capital from being returned to dust. Take bitcoin, for instance.� What were those morons thinking who bought bitcoin at over $17,000 in late-2017?� Why couldn�t they tell that a severe price collapse was imminent?� Now, over 16 months later, their bitcoins are about $5,230 � or roughly 69 percent less than what they paid for them. 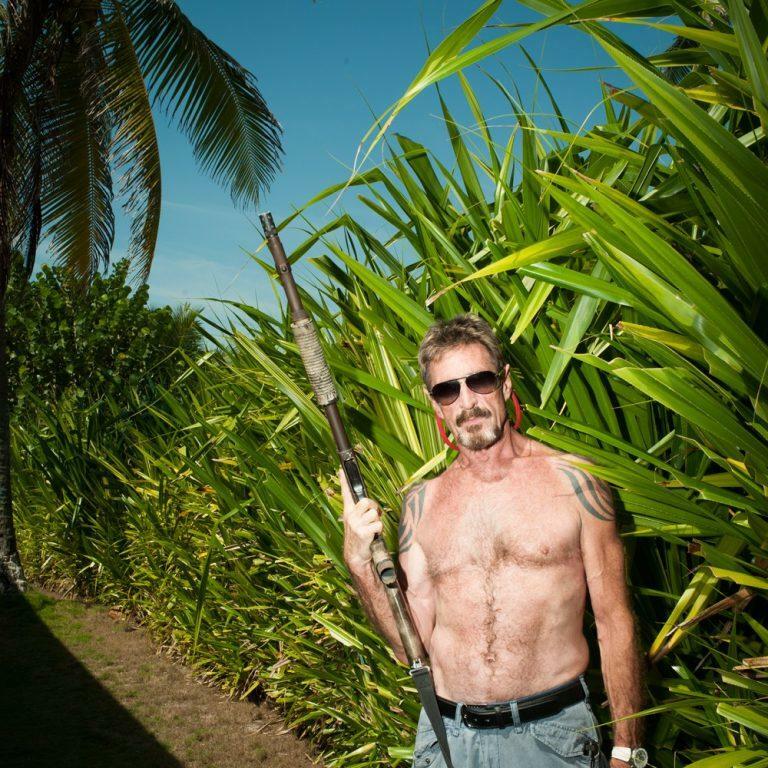 What�s more, if bitcoin doesn�t hit $1 million by the end of 2020, John McAfee � the cybersecurity guy � will have to eat his most private part on national television.� Apparently, McAfee consulted his proprietary pricing model before making this�outrageous claim.� Maybe he should have back tested it a bit more before going public with his findings. Still, we won�t count McAfee out just yet.� He has 20 months left before his trade expires; anything can happen between now and then.� And while it�s unlikely that bitcoin will hit $1 million anytime soon, with a little luck, bitcoin buyers from late-2017 will break even much sooner than the new era dot com believers of the new millennium did. 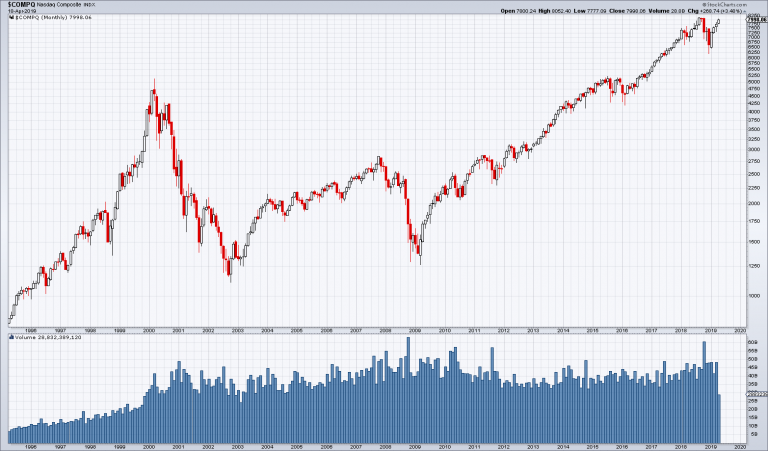 Sometime around early-2015 the Nasdaq eclipsed its early-2000 high, and it hasn�t looked back.� After traversing a Grand Canyon sized bear market, the Nasdaq is about 60 percent higher than at the peak of the early-2000 dot com bubble.� In fact, just this week the Nasdaq spiked back up above 8,000. Wouldn�t it be nice if markets were always this forgiving? 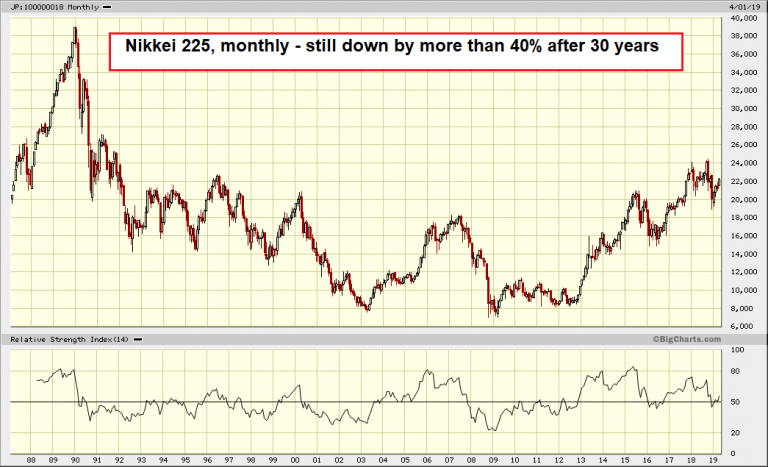 Certainly, the erstwhile investors who bought the Nikkei in October 1989 at over 38,000 would like a do-over.� They�re still down about 40 percent � nearly 30 years later.� Factor in the opportunity cost of what these Nikkei investors missed out on over this time, and they�re down beyond measure. Indeed, the significant wealth building years of several generations of Japanese investors have been lost.� They�ll never get their investment potential or time back.� There are some mistakes that there are no recovering from. 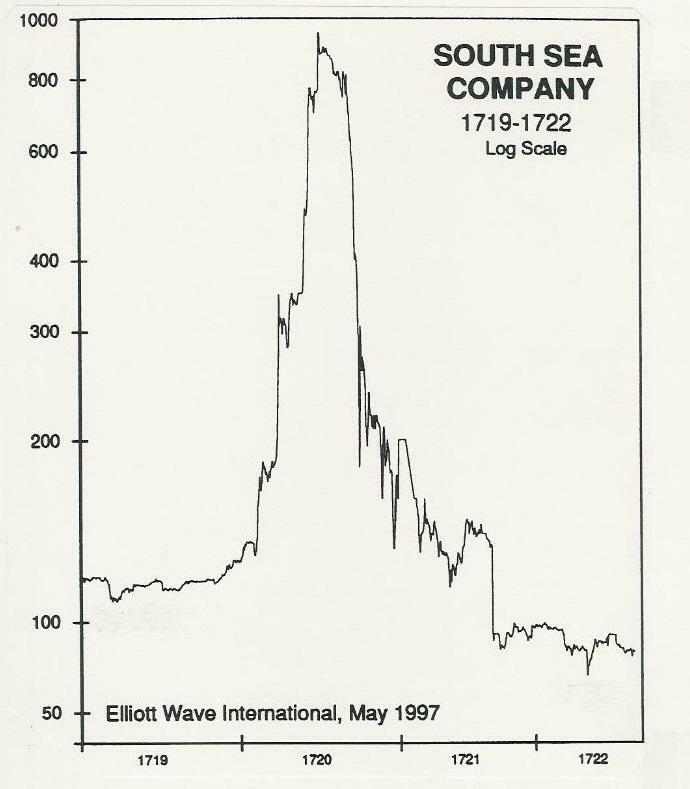 Should we feel sorry for them?� Shouldn�t they have known that the market was grossly overvalued in the fall of 1989?� Why did they lose their collective minds? Yet the real �my name is mud� award goes to the enlightened speculators who bought tulip bulbs in the Dutch Republic in January 1637. �At the time, a single tulip was trading for the price of an entire estate.� One month later, the price of a tulip had collapsed to the price of a common onion. 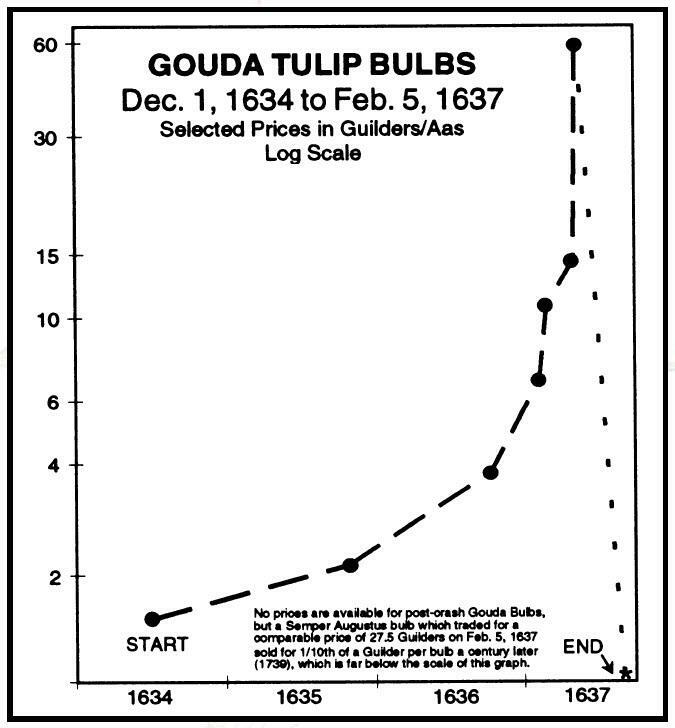 By our rough calculation, tulip bulbs have remained at par with common onions for the past 382 years.� It�s likely they�ll remain there for all eternity.� But for a brief moment, roughly November 1636 to February 1637, people lost their minds in unison. What in the world were these tulip bulb speculators thinking?� Certainly, they didn�t read the fine print in their prospectus; the part that reads past performance is not indicative of future results. �But would it have even mattered? The current cyclically adjusted price to earnings ratio for the S&P 500 is at 30.62.� That�s nearly double its average going back to the late-19th century.� And for the first time in three years, corporate quarterly earnings for the S&P 500 are�forecast�to fall.� Hence, the gap between price and earnings will be stretched out even further. Clearly, U.S. stock markets have been rigged by the Federal Reserve.� But the popular delusion of many of today�s stock buyers is that risk has been eliminated, and that the Fed can propel stocks higher forever.� Thus you should buy stocks, and buy even more stocks� so you don�t miss out. No doubt, future generations will smirk at our imbecility, and rhetorically ask: What were they thinking? 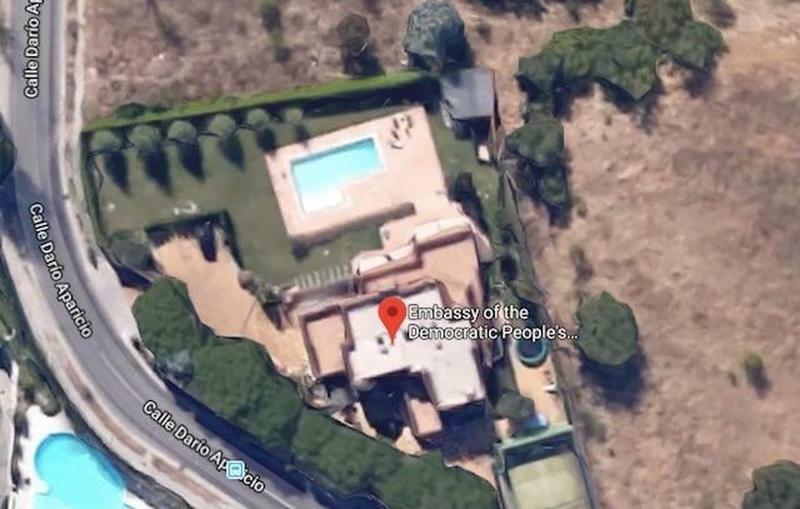 The anti-Kim group, which calls itself Cheollima Civil Defense, said the raid was not an attack and that it had been invited into the embassy. 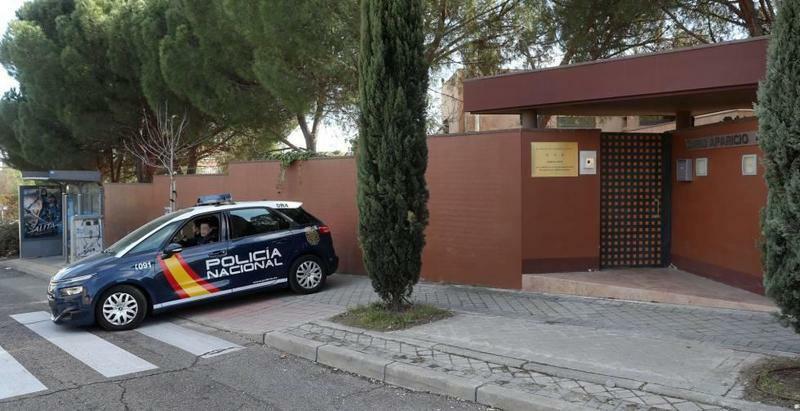 According to the report in El Pais, the intended goal of the attack was to obtain information on former North Korean ambassador, Kim Hyok Chol - who was expelled from Spain on September 19, 2017 over ongoing North Korean nuclear tests, by then-Spanish Foreign Minister Alfonso Dastis. Russian scholar of Asia and specialist in Korean studies�Andrei Lankov noted in�NK News�last month that he suspects either the�CIA�or�NIS of South Korea -�as "both�watch the North Korean opposition carefully and have multiple informers and willing collaborators within North Korean refugee groups, and both have a great deal of interest in Pyongyang�s secrets." Of these two, the CIA seems to be a far more likely candidate. The South Korean government has valid reasons to be nice to Pyongyang, and to do everything possible to keep negotiations between U.S. and North Korea going. One cannot imagine how President Moon, who is working hard to project an optimistic vision of North Korea�s intentions, would authorize anything even remotely like this. 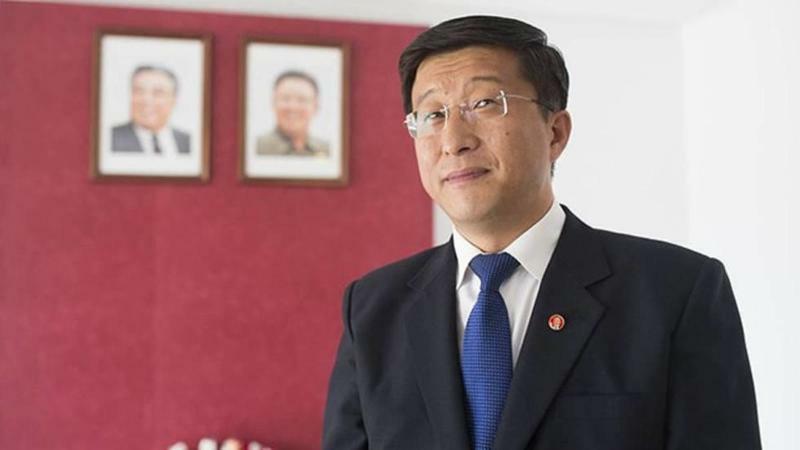 On the other hand, the North Korean opposition in the current political climate would likely not trust the NIS either, and would perhaps prefer to interact with the CIA. Americans have become numb to financial intelligence. This is no more evident than a recent Sallie Mae survey, which indicated that college graduates can�t even answer simple questions about financial concepts, such as interest. The statistics are not looking good for the United States, a nation deeply indebted, addicted to consumerism, and woefully ignorant about it all.� Not long ago,�SHTFPlanreported that a mere 1 in 10 Americans�is actually capable of getting an A on a basic financial security test. 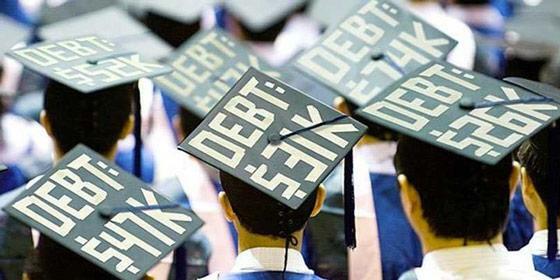 And even college graduates, who are likely tens of thousands (if not more) dollars in debt because of school, learned little to nothing about handling their personal finances. The big red flag comes from consumer banking firm Sallie Mae. The firm�released its new �Majoring in Money� study�which asked hundreds of current and recently graduated college students up to age 29 about basic financial concepts. The results are worrisome. Which of the following best defines the term �interest capitalization�? The fact that we have an entire generation, largely college educated, who cannot answer these questions does not bode well for our future as a society.� Not knowing the answers to these could end up costing people a lot of money down the road. According to�Market Watch, 83% of college grads carry a credit card as revealed by Sallie Mae, but only about six in 10 say they pay the balance(s) in full and on time each month. 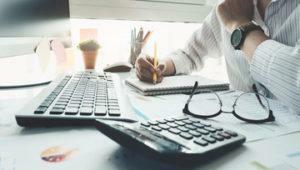 Coupled with the fact that nearly seven in 10 college students take out student loans,�graduating with an average of nearly $30,000 in debt, the decline in financial intelligence is evident. There are ways to learn the basics of personal finance.�Dave Ramsey�s�Total Money Makeover�book was of the most help to many people, and Ramsey is perhaps the most well-known personal finance guru out there.� He takes a strick �no debt� approach that has worked not only for himself, buy countless others. He also offers an easy to follow guide which he�s dubbed �the baby steps� that will get people on the path to financial freedom. Other resources are those such as�Robert Kiyosaki�s�Rich Dad, Poor Dad: What the Rich Teach Their Kids�About Money That the Poor and Middle Class Do Not! Both books are excellent resources that teach the very basics about money and personal finance that no one is learning about in their public school educations. To honor the fact that most of the Washington Press corps probably hasn't finished reading the 448-page redacted Mueller report in full, President Trump is partaking in what has become an extended Twitter victory lap on Saturday, again lashing out at the 13 (18) angry Democrats who were in charge of the Mueller investigation, and the mainstream press, which has continued to cling to the collusion and obstruction narratives, ignoring Mueller's and Barr's conclusions. Even though the report probably shouldn't have been written in the first place (because, as the report revealed, the Mueller probe was literally based on a drunken conversation between George Papadopoulos and an Australian diplomat that left open many questions about foreign intelligence interference), Trump tweeted that ultimately, he didn't care, because the final outcome was "no collusion, no obstruction." One again, Trump declared that "the Russia hoax is dead", but the media is continuing to stir up the pols, as the Dems battle with Barr over their demands to obtain the unredacted report and its underlying evidence. On another note, Trump applauded Thursday's jobless claims data, which again showed applications for government unemployment benefits at a 50-year low. The Mueller probe continued for nearly two years. We imagine the president will take his time to gloat about the outcome. It has been a while since George Zimmerman, the half-Hispanic, half-white, former neighborhood watch volunteer who infamously shot and killed black Florida teen Trayvon Martin, did something dumb enough to land his name back in the headlines. But that drought couldn't last forever. 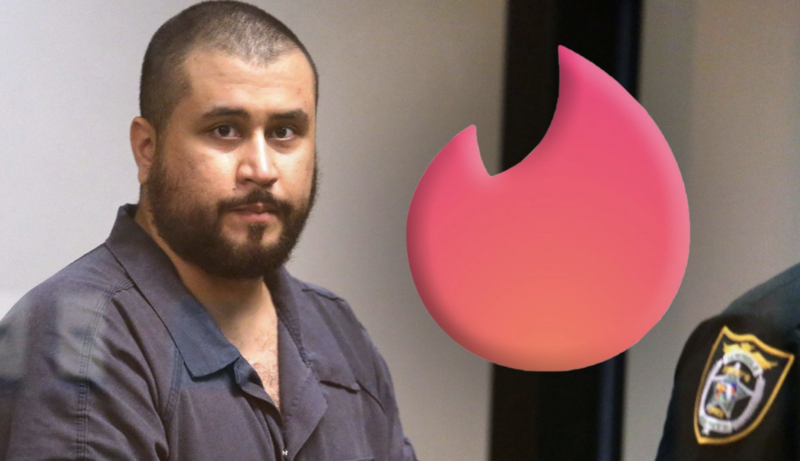 Apparently, Zimmerman, who has been having trouble dating since being acquitted of murdering Martin in 2012, has been banned from Tinder after creating a profile under a fake name. According to Fox News, he used the name "Carter" instead of "Zimmerman" on his profile, which was uncovered by local daters who apparently outed him to the media. According to his profile, "Carter" was a "self-employed" Liberty University graduate "looking for carefree fun" who enjoyed being outdoors and fishing. He also noted that he loved adventure, but didn't enjoy "huge crowds" (understandable). He is also "down for a quiet night with Longhorn take out." Tinder wasn't amused by the deception, and said in a statement that it takes the safety of its users very seriously. "At Tinder, we take our users' safety very seriously and our team has removed this profile from our platform," the company said. "We utilize a network of industry-leading automated and manual moderation and review tools, systems and processes � and spend millions of dollars annually to prevent, monitor and remove bad actors who have violated our Community terms and guidelines." Zimmerman's ban from Tinder comes just months after he was banned from Bumble for similar reasons. "George Zimmerman was blocked and banned in December 2018 when we first discovered his profile and we have blocked and banned him again after we were informed by our users that he had created a new unverified profile," a Bumble spokesperson said. In his Bumble profile, Zimmerman said "let's get coffee and cake pops. I'm looking for a mature and fun woman that's ready to be loved and respected the way she deserves...and is able to reciprocate." We suppose it's time to give Hinge or Plenty of Fish a try. And the machine's role in fighting the fire may be the cornerstone of welcoming in an era of robotic firefighting. Over the last 10 years, different countries and organizations have started to develop similar types of machines that can fight fires. They aim to not only help gather information using cameras and various sensors, but to keep firefighters safe. 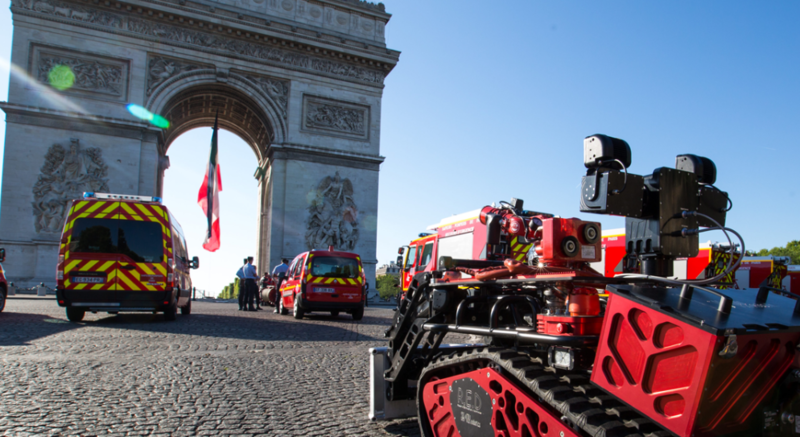 The "Colossus" robot�is deployed with the Paris Firefighter Brigade and other with many other French or foreign Regional Services of Fires & Rescues. And the robot in Paris isn�t the only of its kind in action. 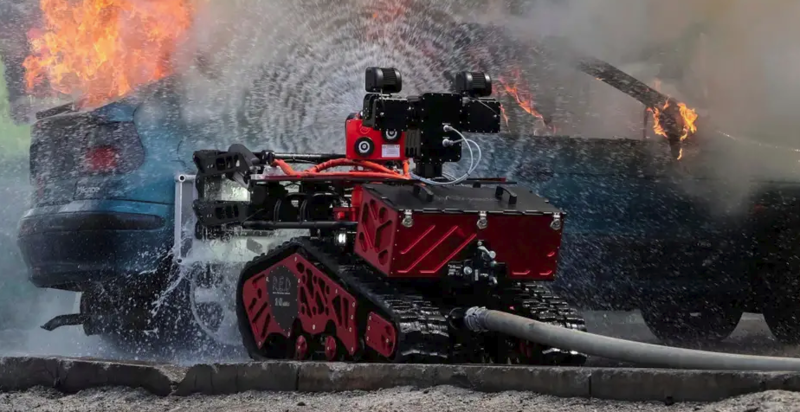 China has also utilized firefighting robots in drills and Howe and Howe Technologies, a company that specializes in military robots, has developed several additional firefighting robots that are designed for industrial environments using foam or water. Lockheed Martin also has a robotic fire truck called "Fire Ox" that can be controlled using something similar to a video game controller. It was first designed to fight structure fires or wildfires. On top of that, the Navy has also begun experimenting with a nearly 6 foot humanoid robot that can help it fight fires. The machine, described as "terminator-like"�is designed to throw propelled extinguishing agent grenades and handle a firehose. The company that manufactures the robot did not reveal its price tag. "Colossus" is 2.5�feet wide, 5.25 feet long,�can carry 1200 pounds and be operated from almost 1000 feet away. It is controlled using a joystick and the machine is waterproof, fireproof and can withstand thermal radiation. It can even go up stairs. The machine is powered with lithium ion batteries that can last up to eight hours and robots can also be equipped to use cameras, sensors and fans. And speaking of saving human life, "Colossus" sure would come in handy the next time a Tesla catches fire, especially if it is eventually�put out,�only to reignite or "spontaneously combust" a second and then third time. One of the most repeated messages among European financial analysts this week is this: �we are in a global slowdown�. However, the sentence hides important nuances and very relevant differences. The European Union suffers a severe slowdown.�The rest of the world only a moderate reduction in the pace of growth. Data from the United States tell us something very different from what we get from the Eurozone. Retail sales rose 1.6% in March in the US and the implied annualized growth rate for the first quarter remains above 2.1%. If we look at the employment data, the United States only sees a slight moderation in employment growth � But we are talking about the creation of 196,000 jobs, a figure that indicates much better growth. than other similar economies. The same applies to the latest manufacturing and service indices: They remain above 50 (in expansion). The Markit service index was 56.3 compared with an expectation of 54.8 and the compound showed a figure of 54.6 compared to the previous 54.3. The economic surprise index of emerging markets also indicates an improvement. A strong but stable dollar (DXY Index) has not damaged the macroeconomic figures of the main emerging economies.�It is true that the �usual suspects�, Argentina and Turkey, have seen their currencies plummet against the dollar, as they continue to implement counterproductive monetary policies of financing public spending with direct printing of currency. However, the macro data of most emerging countries as a whole is better than expected, and that must be acknowledged. Brazil was the latest to show a� marked improvement in the Economic Activity Index in February. The prices of commodities have helped, but that tailwind is not the main driver. We cannot be complacent, but the recent capital outflows seen in March are modest compared to the inflows into February. China has shown slightly better data in the recent manufacturing index as well. Their huge imbalances remain, and we should not indulge in complacency or optimism, as the Asian giant shows macroeconomic indicators improving within a long-term trend that has been signaling a clear deceleration since 2016. We must remain concerned about China�s indebted model, but it is still a trend of relatively weaker growth, not of stagnation. So, where is there evidence of stagnation? In Europe and Japan. Japan�s manufacturing PMI� came at 49.5 and Output at 47.9. Both in 3rd-month of contraction. The Japanese slowdown does not surprise anyone anymore, because it is in its third decade of stagnation repeating the same mistakes of disguising the demographic and productive model challenges with misguided Keynesian government spending policies and more debt. The most concerning problem is Europe. A European Union that completely abandoned its reform agenda to bet it all on the mirage of monetary policy, while economic, demographic, state and political risks rise. The data from Germany remains poor, but the country enjoys enviable unemployment, trade balance and fiscal strength. However, in the rest of the Eurozone, the fragility of the economies is linked to both fiscal imbalances and excessive interventionism that make them more vulnerable to a change in the cycle. At least in France, from where I write this article, the debate on television and media is constant. The entire country is aware that the slowdown is severe and tax reductions and measures to strengthen economic performance are announced. The word �crisis� appears on the front page of newspapers and economic programs as a real possibility. In the periphery, countries must be aware that they have exhausted their fiscal space and acknowledge their vulnerability to a modest change of cycle. Spain is not immune to these risks. The OECD index of leading indicators already shows a negative figure and the leading indicators published by the Ministry of Economy also reflect more than ten in negative territory. That�s why the Eurozone should be more prepared. Because most countries do not have the capacity that others have to confront a slowdown. The United States or the United Kingdom have buffers to face a slowdown. Most� Eurozone countries are dangerously ignoring it and, even worse, proposing large government spending and high taxes as the �solution�. All of you have read that the slowdown was due to temporary factors. It is not. The fall in the flash Composite PMI, from 51.6 in March to 51.3 in April was worse than the consensus estimate of 51.8. Some demand a massive stimulus from Germany to address the problems of the Eurozone. 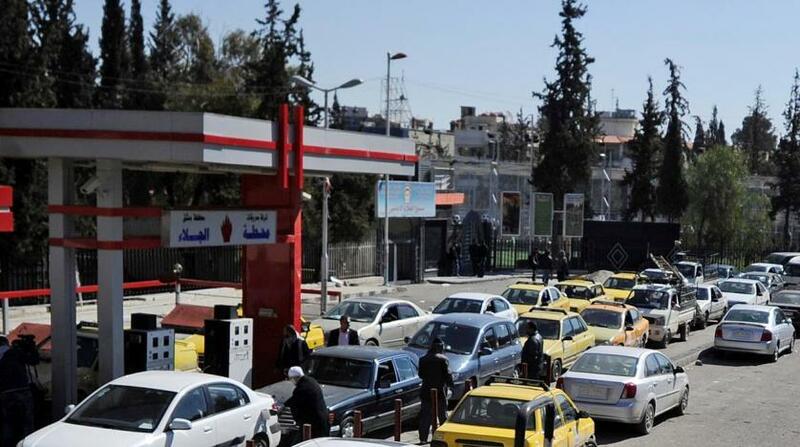 Making the same mistakes as other countries is not a growth policy, it is a suicide action. It would not work. There is no evidence that Germany is importing less than it needs, quite the opposite. Its industrial utilization has risen from 71% in 2009 to 86% today. Meanwhile, private investment is at pre-crisis highs. We cannot ask Germany to make the mistakes of others to disguise the imbalances of its Eurozone partners. The problem of the Eurozone is threefold: demographic, high state- and fiscal-interventionism, and lack of technological leadership. 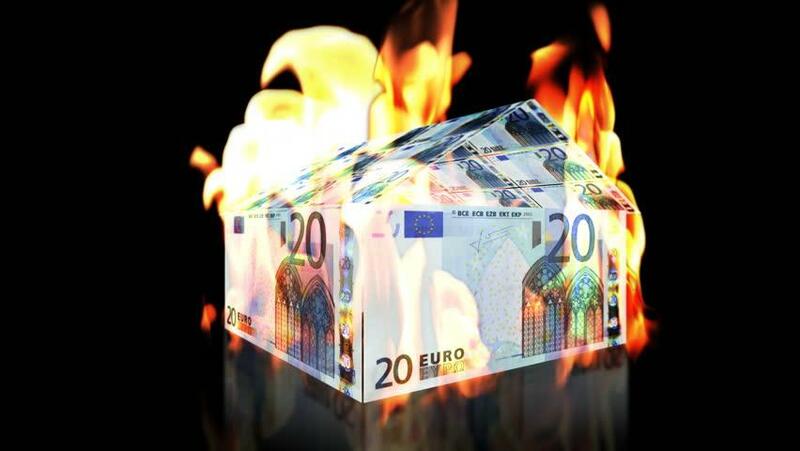 With rates at zero and almost 1.8 trillion euros of excessive liquidity, the problem of the European Union is not the moderate global slowdown.�It is perpetuating a rigid, intervened and extractive model. 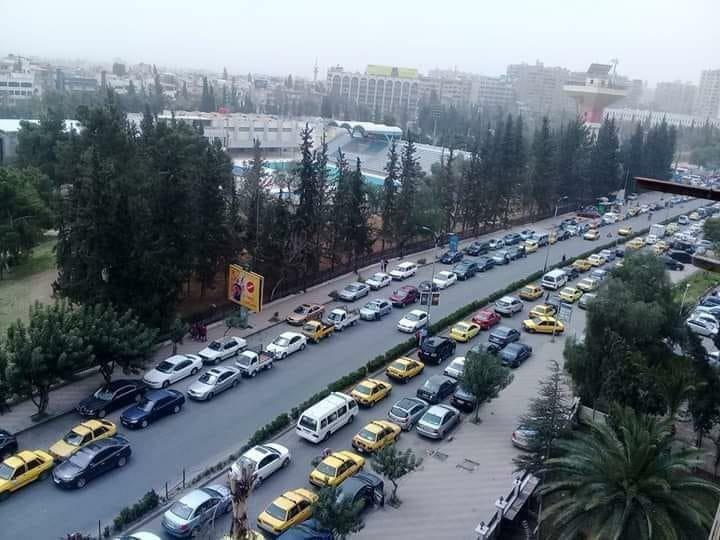 Aksyonov told Russia�s Sputnik News that there are plans to export wheat, petroleum derivatives and power tools to Syria as well as rebuilding railways there. 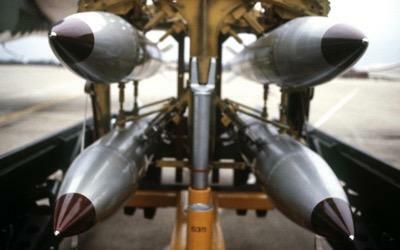 Germany�s armed forces are currently studying the possibility of acquiring nuclear bombers capable of using the new American B61-12 atomic bombs. According to an April 5 report by The Capitol Forum, in January 2017 Ubhi lamented missing a conference call between Defense Department officials and AWS personnel, writing via email: �I am ex-AWS, and would have liked to have been on the call.� Eight months later, when acting as the DoD�s lead JEDI project manager, Ubhi asked DoD higher-ups to name him �the point of contact for all industry conversations.� After reportedly recusing himself from the JEDI procurement process in late October, Ubhi left the DoD, returning to AWS in November 2017.